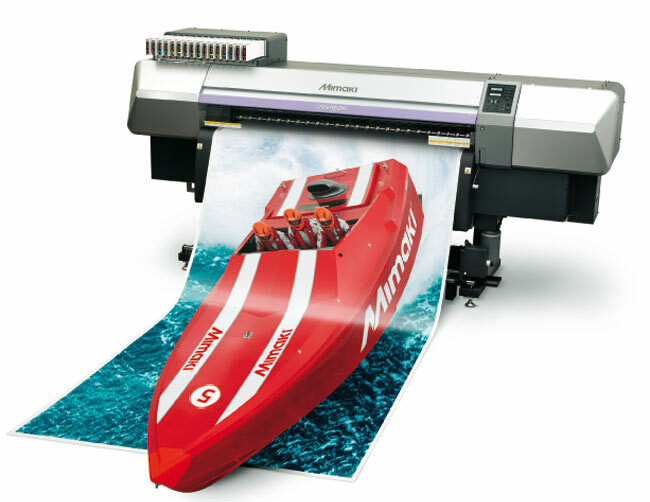 Designed using Mimaki's legendary state-of-the-art inkjet technologies this range includes the 63” (160cm) JV5 160 and 126” (320cm) JV5 320. With a variety of configuration options including 4 colour (CMYK) or 6 colour (CMYK, Lc, Lm) and the choice of Mimaki HS1 or SS21 solvent and ES3 Eco solvent inks. Print resolutions of 540, 720, 1080 and 1440 dpi ensure there is a configuration for every application. High quality production at speeds upto 54 sq/m per hour make this range the market leader in class. UISS (uninterrupted ink supply system) which provides unattended long-time continuous print without an operator makes unattended operation simple coupled with the brilliant roll to roll take up system that offers accuracy and reliability not seen on other systems. Running 4 printheads with 8 channels each the JV5 offers stunning print quality at speeds normally associated with much higher price points making the JV5 true value for money. Manufacturers Specifcations for the JV5-160. Manufacturers Specifcations for the JV5-320s.